Ramadan Kareem! 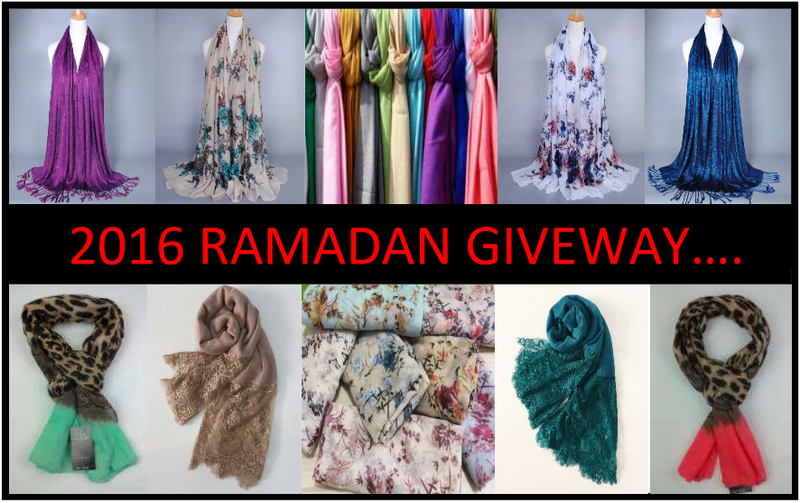 We are very excited to announce our first Ramadan Hijab Giveaway! Signup to be entered* to win daily prizes of elegant Style & Modesty scarves. Entries valid June 1, 2016 thorugh July 5, 2016 (30th Ramadan 2016). This entry was posted on Wednesday, June 1st, 2016. Jazaki Allahu Khairan, please don’t forget to enter the drawings using our “Enter Now” portal :). Excited to win inshaAllah ! Thanks and Ramadan Mubarak to you. Please click the “Enter Now” green button to enter into the drawing. Comment section is not the portal to the entry. Thank you. How do we know whether we have been selected or not in the drawing? Would we receive an email? Yes, Style & Modesty sends an email to the winner of day everyday. This is how the winners are notified, and further instruction given & received to ship out the hijabs.